Please visit the boomsshop’s blog called BoomSpot where I am helping develop solutions and products enabling us to thrive at any age or stage of life. The concept “We Are What We Eat” is thoroughly reflected in our skin. Not only does the skin reveal the health of our diets, but it also reveals the health and function of many of our internal systems. After all, new skin cells are built using the nutrients in our food, so if our diet is poor and our internal systems sluggish, our skin is sure to follow. Taking care of our skin doesn’t simply mean pampering it at a spa or staying out of the sun. Putting the right things into our body is the first step to achieving and maintaining healthy, vital skin. Follow these 5 simple strategies to build a diet that will improve your skin’s health from the inside out. When the skin becomes dehydrated, it becomes dull and inelastic, tired-looking and more prone to wrinkles. Drinking at least eight 8-oz glasses of water a day will help renew the skin and make you feel more energetic in the process. If you’re having trouble getting your eight glasses, try flavoring your water with crushed mint, ginger, berries, watermelon, or slices of peeled lemons and cucumber (the Aqua Zinger does this job extremely well and with little mess). Avoid sugary drinks such as soda and fruit juice, which dehydrate the body, and if you have any caffeinated or alcoholic drinks, remember to consume an additional 12–16 oz of water for each one. Essential fatty acids (EFAs) build healthy skin cells, making our skin plumper and smoother and less likely to become inflamed and clogged. The body doesn’t produce these EFAs naturally, so the only way to get them is through diet. To do so, prepare your meals with oils that contain healthy fats, like olive, avocado, coconut, walnut, almond, and macadamia nut oils. Choose organic, cold-pressed, extra-virgin oils, and add them to food after preparation when possible, as high heat can damage the fats. Olive and nut oils have a low smoking point and should be heated carefully. Only some oils (like avocado oil) can handle high heat. Seeds and nuts also boost the body’s stores of healthy fats. Make a homemade trail mix with sprouted sunflower and pumpkin seeds, almonds, walnuts, macadamia nuts, and Brazil nuts, or add them to a salad for a tasty topping. Consuming adequate fiber is necessary to cleanse the digestive tract, feed healthy gut flora, and promote healthy elimination. Not getting enough fiber can cause the digestive tract to become sluggish and unable to eliminate toxins, which can lead to dull skin, redness, and acne breakouts. To increase your fiber intake without much work, add 1 tablespoon each of flaxseed and chia seeds to a vegetable or fruit smoothie. Snacking on roasted chickpeas, other legumes, and raw vegetables is another simple way to do it. Also, make certain you are consuming at least 1 and ideally 2 servings of a robust, dark leafy green such as spinach, kale, or chard, as well as a cruciferous vegetable like Brussels sprouts, broccoli, cauliflower, cabbage, broccoli rabe, kale, or bok choy. Antioxidant-rich foods have the power to fight free radicals, which can harm the skin by destroying collagen and increasing the risk of skin cancer. To get more antioxidants in your diet, eat produce in a wide range of intense colors – greens, reds, oranges, yellows, and purples – as the color provides a big clue to the fruit or vegetable’s antioxidant content. Great choices include spinach, kale, and chard; red, yellow, and orange peppers; and tomatoes, purple cabbage, beets, red grapes, berries, and citrus fruits. In addition, stock your pantry with green and redbush tea – two particularly potent sources of antioxidants – and enjoy a cup of each per day. These can be enjoyed hot or cold and infused with your favorite herbs and slices of lemon and ginger. Beneficial gut bacteria help to reduce inflammation and improve the health of the skin. To build a robust colony of these friendly bugs, begin by eating fermented vegetables like kimchi and unsweetened yogurt or kefir. In addition, limit your intake of sugar, refined and processed carbohydrate-rich foods, alcohol, and unhealthy damaged fats like vegetable oils. These kill healthy bacteria and feed unhealthy bacteria, which can then lead to an imbalance in your gut. Remember, antibiotics kill both healthy and unhealthy bacteria, so if you need to take them, make certain to replace the good bacteria with a colonizing stable probiotic. Hi everyone! Sorry it’s been so long since I’ve posted. I promise to freshen things up and stay more current! Please check out this new site with very thoughtful product and content for people of all ages and stages of life. They are a great bunch of people I’ve been working with in the nutrition & wellness sections of their BOOMSPOT blog and product areas to come. 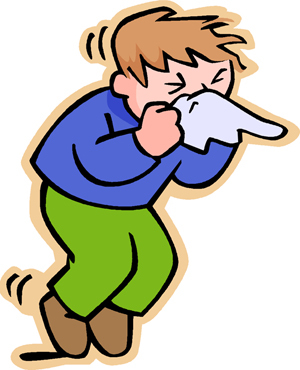 The effect of allergy season can be disruptive beyond the typical discomfort of nasal congestion, itchy eyes, and a runny nose. Chronic inflammation in the sinuses can create an environment that allows opportunistic infections to thrive. Adult allergy sufferers commonly experience sinus infections, whereas ear infections may occur more frequently in children during pollen and mold seasons. The hypersensitive immune response that triggers the imflammatory response associated with allergy symptoms can produce an “inflamed “ neurological response. For most of us, that translates into irritability, distractedness, poor concentration, low energy, and a short fuse. For many children with ADHD, Autism and other related disorders, it can trigger a significant worsening of their behaviors including, increased impulsivity & inattentiveness, intensified stimms & perseverative behaviour, and prolonged tantrums, even when lab work determines no evidence of IgE mediated seasonal allergies. In addition to the most obvious allergy symptoms are oral symptoms such as itchiness in the mouth. This phenomenon occurs mostly in adults and is referred to as Oral Allergy Syndrome. The intake of foods within the cross-pollinated species are the cause of these symptoms. Elimination of these foods is the primary treatment. While many physicians may offer a range of pharmaceutical remedies to treat allergies, those products may come with challenging side effects that can far outweigh the benefits. The nutriceutical industry also provides solutions, most of which rely on the benefits of quercetin. While quercetin is a potent anti-inflammatory, it inhibits the activity of the COMT enzyme, and therefore compromises the degradation of the “fight and flight” molecules, dopamine and norepinephrine. In this context, treating allergies without a full understanding of an individual’s biochemistry can lead to both positive and negative outcome. Understanding the range of biomedical imbalances associated with allergy symptoms, and blending the benefits of many ingredients may offer the best solution with the fewest side effects. The key to developing an ideal regimen to combat these symptoms is the tailoring of the therapy to meet the unique demands of each individual. Be sensitive to the boilerplate application of typical antihistamines, anti-inflammatory products, and in particular, those prepared with toxic preservatives, dyes, and artificial sweeteners, etc., as they can result in unnecessary side effects, Any regimen should include a careful assessment of each individual including potential sensitivities to nutrients that can produce neurological side effects. My experience has been that understanding the history, personality and experiences of clients leads to a more optimal combination and ultimately a result in keeping with a person’s lifestyle and needs. Please share your experience or questions. Have you found yourself hit by this season’s onslaught of airborne allergens? And, if so, have your symptoms gone beyond the ‘typical?’ What therapies have you used– conventional, nutriceutical or other? There are, of course, ways to fortify your immune system and minimize the hypersensitive immune response. While for some, this may just be a very difficult season, though arming yourself with knowledge and some level of preparation may help make this time much more tolerable. Welcome to Rants, Raves & Recipes! I plan to share anything and everything here from “the good, to the bad, to the tasty!” If you know me, then you know that’s what you get on a daily basis. I immerse myself in the literature on just about every imaginable topic impacting our health and vitality. I have a penchant for getting down to the biochemistry on everything and making the connections that matter to us. There is so much bombarding us today in the form of information and chatter that it is overwhelming, if not impossible to sort and make sense of. But that’s what I do—for myself, my family, friends, clients—anyone who will listen! And oh yes—I am a Foodie (http://en.wikipedia.org/wiki/Foodie)! You have undoubtedly heard this before: “Let food be thy medicine and medicine be thy food.” Hippocrates, 460 B.C. This never gets old! It is wonderful! My kitchen is my lab, my playground, my temple! There is so much available to you in the way of whole food that can build your own shield of armor and bring us closer to Optimal Vitality. Cooking can be quick, smart and fun—whether for one or twenty people—a quick in-between snack or a large holiday gathering. I’ll be sharing things I find along the way that prove you NEVER need to compromise on your health. Please, please, please, consider this blog a place where you can ask ANYTHING. And don’t try to “stump Peta” because if I don’t know the answer, you can bet I’ll find it!